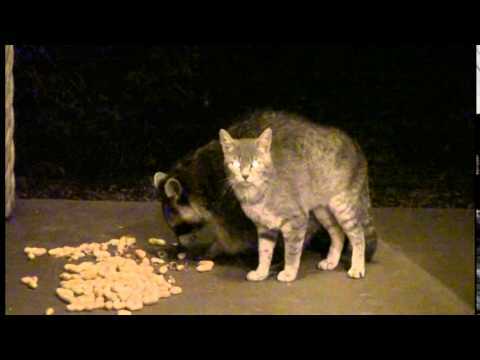 There are 2 cat videos tagged with raccoon. 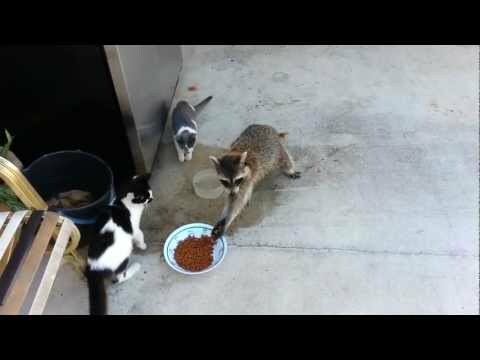 A raccoon loves to steal food from these three cute cats. They are very cautious of her (rightfully so!) and let her get away with it. She grabs some food, and puts it in the water bowl like she's eating cereal with milk! In the end, the funny raccoon runs away with its two front paws full of food.